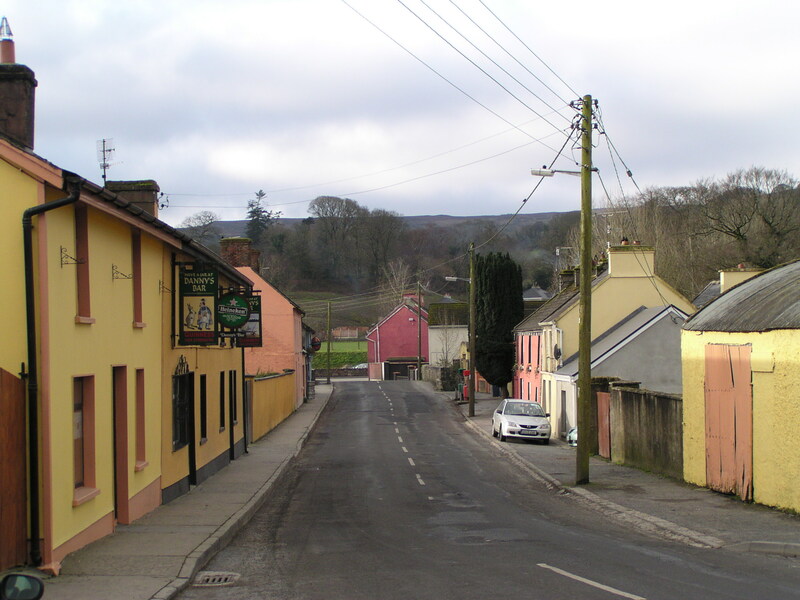 This entry was posted in Broadford, Broadford County Clare, County Clare, Family History, Irish family history, Migration history and tagged Broadford, Clare, Kilseily, One Place Study by cassmob. Bookmark the permalink. Hi Pauleen, I’d like to start by saying what a great idea this is! Secondly, just out of curiosity, how many Hehirs (or variations) do you have in your immigrant database? One of the only Irish Catholic parish registers I have viewed in detail on microfilm was Clane, Kildare and I wrote down all the Dunnes and tried to work out family groups in my Legacy software with the townland names in place of a fathers name, then I searched for extra information via Google, Ancestry etc. It was a fairly haphazard study and I put it aside hopefully to refer to it later. So yes I have tried using genealogy software with numbers of people listed under pseudo parents but I find it quite frustrating as the software wasn’t really designed for that. I think probably a database would be more user friendly for such studies but haven’t been patient enough to create one ;-). It would be great to learn what sort of software people use for one name and one place studies. Well done for your research on Broadford thus far, it sounds like you have done a lot of work. Thanks Aillin. I will have a look for Hehirs. I’m pretty sure there are some. Doing Dunnes would be like O’Brien though to be fair it’s not as common as you’d think in the parish of Kilseily. I had to build the DB as part of the ADLH online with Oxford and believe me it nearly brought me undone because it was quite complex. I have multiple reports but it’s still not quick and easy to bring different record types together. It’s one of those things you either have to be a total techo or work with someone on it. I even asked a friend and former IT manager and I’m still not happy with the reporting I get from it or interlinking the records. The big dilemma, as you’ve found, is ascertaining how people are connected, or indeed whether it’s the same “Michael O’Brien”. Aillin, I do have about 10 Hehirs…where are yours from? What first names are you looking for? Pauleen, I wish I could give you some glistening pearl of wisdom — but instead I am collecting ideas on different ways to look at my hodge-podge of Springdale families. I keep finding interconnections way down the line between families, and then have to work my way back to the beginning. Probably not the prettiest, or most effecient way of looking at these folks. Good post, interestng and thought provoking. It’s a conundrum isn’t it Joan when we start going beyond straight family lines. It’s one of the reasons that I feel like I’m in a straight jacket with genealogy programs but there are more now that allow for these strays. I guess it falls under the heading: FANs: friends, associates, neighbours. Maybe we’ll both get some helpful hints from other comments. My response here is well over due. I am seriously attempting to get all the data on line. For a small parish I am averaging an email a week! I also keep a reference of all the people that contact me and I drop people an email if they connect to another researcher. I digress. It is a tricky way of keeping track of families. At the start I kept a sheet of A4 paper for each individual. Adding to it information from the Census and parish records. In fact I still keep the A4 sheets – filed alphabetically by surname and can not see me disposing of them any time soon. In fact I am planning to use these for the basis of the on line data when I get to that far. I have also used Excel as a way of tracking data. Recording what material I have etc. For this purpose I am not overly keen on genealogical software either. I will see if I can scan a copy of one of my individuals then you can see the data that I keep, but in essence any material about an individual is located on that sheet. Thanks Julie, that’s very helpful. I started out my family history using an A4 sheet per person so I can relate to that. No one way seems to work perfectly that I can see. Excel is helpful for some of the data but then I’m left not quite knowing who belongs where. I suspect there are massive gaps due to deaths and migration in the Famine years. My decision on formally starting this project is in abeyance as I let my thought digest. I really appreciate your advice. I know what you mean about the “matchmaking” I tend to do that with the Dorfprozelten people. Thanks! I’d be keen to see a scanned copy of what you have. Feel free to email me via cassmob at gmail dot com. I have been working on the McNamaras of Ballykelly for some time, and have a lot of data, would like to compare with yours. Please email me at apgen@earthlink.net. I was wodering if you can help me. I, and a number of cousins, are researching into our McGrath family who settled near Bendigo in Victoria. 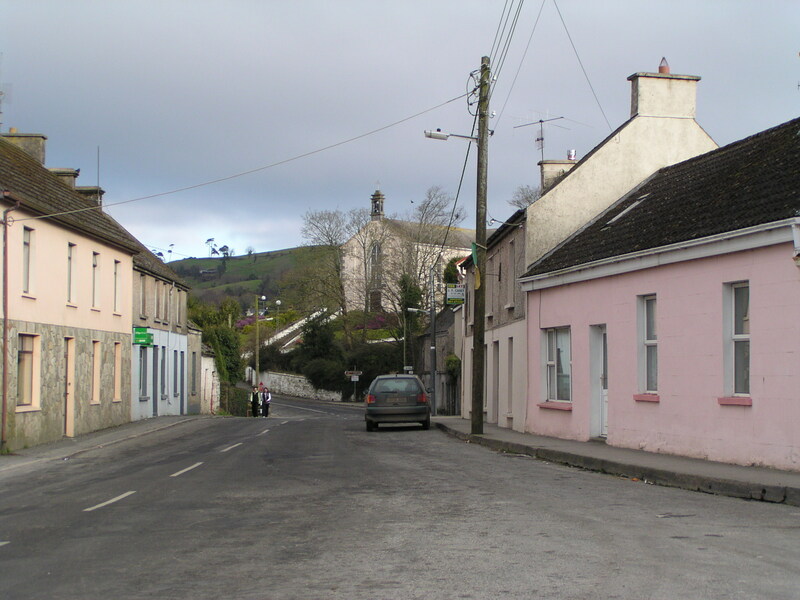 One of the McGrath girls, Bridget, married a colourful character named John McNamara who came from Broadford and may have been baptised about 1834. John also had a sister named Bridget and possibly a couple of brothers named Patrick and/or James.Parents were John McNamara and Mary McMahon. I would be pleased to know if you have any information on this family. John McNamara arrived on the John Knox on 15 July, 1851. With him on the ship was his sister Bridget and her future husband, James O’Loughlin with his two sisters, Mary and Honora. They arrived in Geelong and made their way to Bendigo. hi Steven, thanks for replying. I’ve been on holidays so no worries re the delay. Thank you for providing me with another link to the Broadford emigrants. My grandfather emigrated to Brooklyn New York in the early 1900’s his name was Patrick Moloney. He was one of 8 children of John Moloney and Bridget McMahon of Ballykelly. the only records I have ever been able to find on them are the 1901 and 1911 census. I was wondering if your research has come across any other records for this family. Ive been to Ballykelly and still have some distant cousins there (Donellans). Unfortunately I looked around the Catholic graveyard and couldn’t find any of my Moloney ancestors. most of the area of Ballykelly where they lived consists of dilapidated old uninhabited farm buildings. If there’s a family history library of theirs near you, you could order it in…cost is about $7 and while the beginning of the film is a nightmare to read, the latter parts are not so bad. (It covers 1844-1880). I believe the Irish Lands Office are going to offer the latter online at some stage which will be great as they have different coloured ink which is not easy to follow on the B&W microfilm. It seems to me that the land they were on must have belonged to someone else previously. John Mack, a veteran of the Civil War, and an esteemed citizen, died at his residence, 21 Forest Street, Friday night, shortly after midnight. . . Mr. Mack was born at Bradford, County Clare, Ireland, March 23, 1823. His father was a well-to-do farmer and the son obtained an education. He remained at home until 1847 when he came to America, landed at Boston and came immediately to Fitchburg, where he has since resided, except about two years, 1852 and ’53 when his home was in Ashby. . . . . . . . . Mr. Mack married September 26, 1850, Miss Mary Kelly, who came to this country on the same ship, though they were not acquainted at that time. Besides his wife, he leaves four sons – John of Ashburnham, Edward F. who has been in the U.S. Navy for 28 years, was master at arms on the U>S. Battleship Iowa in the Spanish War and is now stationed at Norfolk, VA; James H. of this City and Patrick H. who resides at Los Angeles, CA , and one daughter, Miss Mary Mack. Mr. Mack was the last of his father’s family. . . .
2. You have two names to look for on the one ship, if US immigration provides the details: him and his future wife. 3. Any reason why he lived in a different place in those two years? 4. Does he marriage registration show his parents’ names? Or his death certificate? 5. Did he become naturalised in the U.S.? 6. IF his father did indeed have a larger farm then he should appear in the Tithe Applotment records. No guarantee with Griffiths as they may/may not have survived the Famine or died anyway. 7. Clare library http://www.clarelibrary.ie has an excellent page for genealogical resources which might prove helpful. Don’t know if this will help but worth trying. take heart I found my O’Briens in Co Clare…another common-as-dust Clare name like McNamara. I just saw this response. 3. Ashby& Fitchburg abut each other and he is listed as living on a farm in Ashby – I assume he was a worker. 4. Only say “Ireland” 5. I think he was naturalized, but haven’t found that document. Thanks for your input! I’ll keep plugging! My great grand uncle archbishop James Duhig came from Broadford did you see any mention in the parish records of any Duhigs. I live in Brisbane, Australia. Hi Ranald, thanks for visiting. 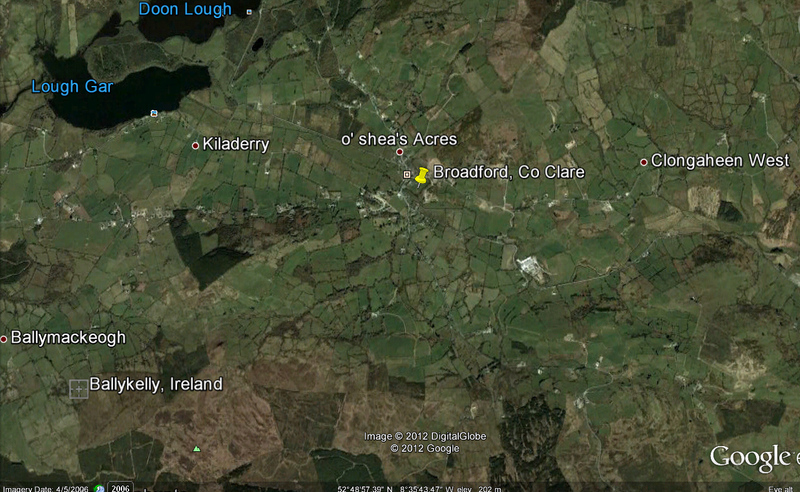 Archbishop Duhig came from Broadford in Limerick where I’m looking at East Clare -not much innovation in names was there? you are likely related to Anne Cullen with whom I went to school at Herston and All Hallows.